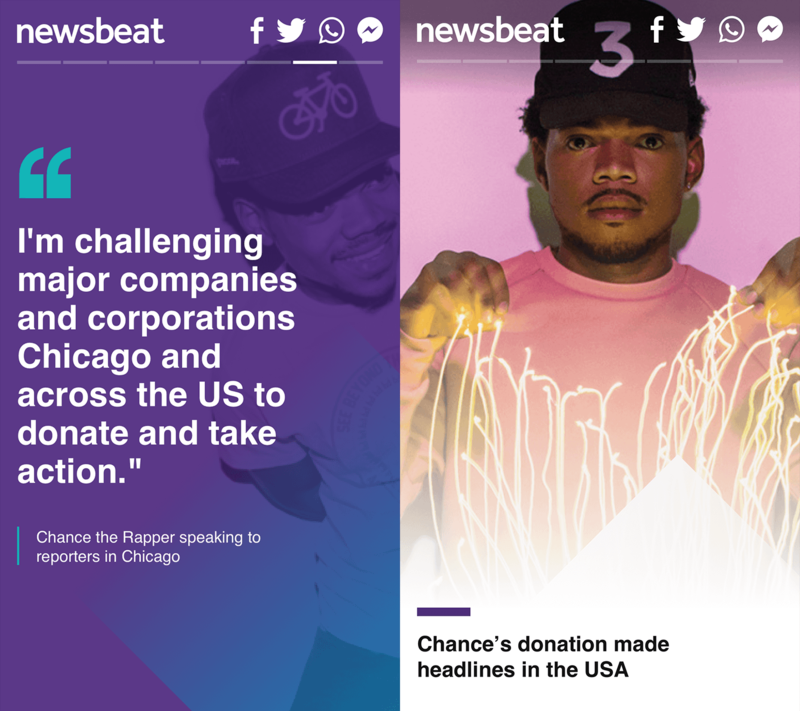 How can we make the news quick and yet rich at the same time? Can we push the current article experience into a direction that is new and yet familiar? 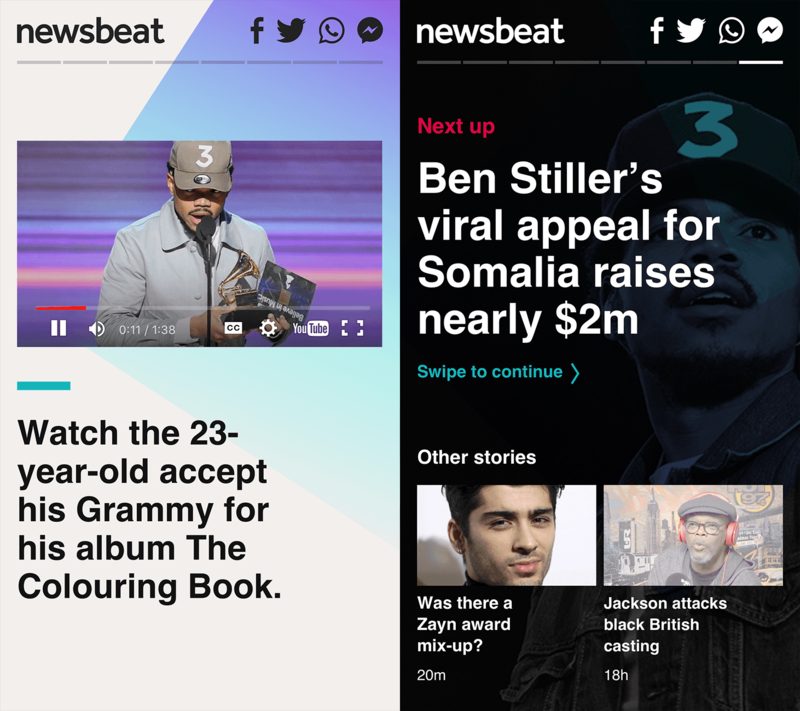 As a designer at BBC News, I had the opportunity to explore exactly that with a new article format - starting with BBC Radio 1's Newsbeat. How might we create a rich and distinct storytelling experience? How might we show people the next best thing? Focusing on interaction and visual designs, Storyslide presents the key components in a visually engaging and digestible format - which isn't unfamiliar to our audiences. HMV Mix makes music more social - listen, talk and discover new sounds with friends or alone. Focusing on the interaction and visual designs, Storyslide presents the key components in a visually engaging and digestible format - which isn't unfamiliar to our audiences. Carrying out guerrilla research, I developed further prototypes that explored different interaction models. I then facilitated formal user research sessions on these developed concepts. Working with developers and editorial, we built several proof of concepts that went live across the BBC News website and social platforms. This format was also used across BBC News UK editorial teams as well as the World Service.